pretty pretty block!! you know i haven’t always been a purple person but as i mature into a lady of substance (hee hee i love the ring to that) purple is growing on me! 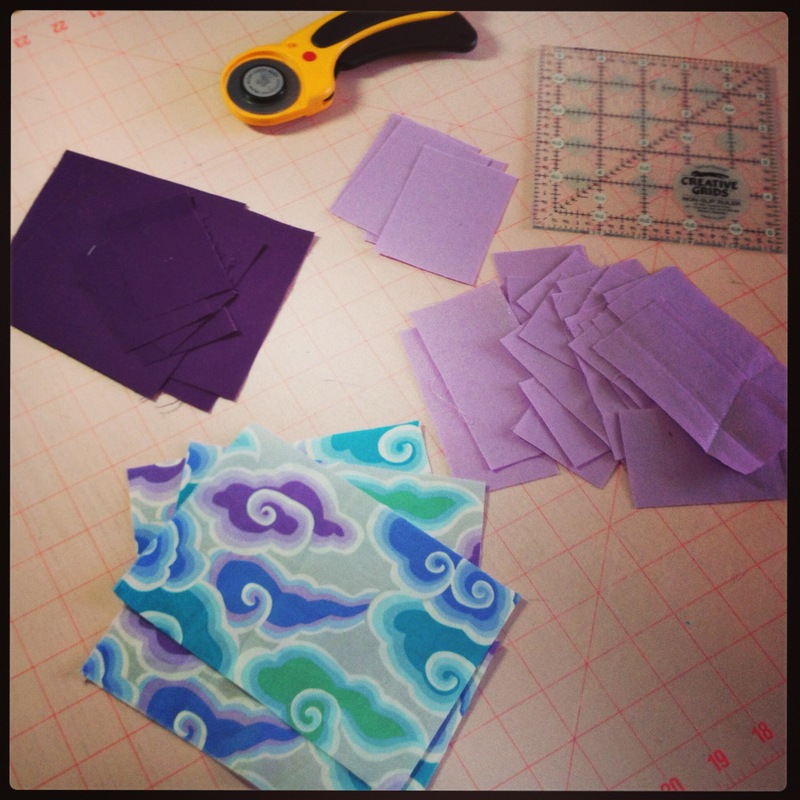 i have purple rimmed glasses frames, i love to write with purple pens and i need to built my purple fabric stash. i bet you have lots of purple! LOL, I love that you are “maturing” into purple! I always feel like my love of it shows that I am still immature… 😉 And yes, I do have just a wee bit of purple into my stash! Great block! I love the color combo. I am also sad about QuiltCon. I’d love to see everything. Ill have to love vicariously through the blog world. thanks for the block compliment! 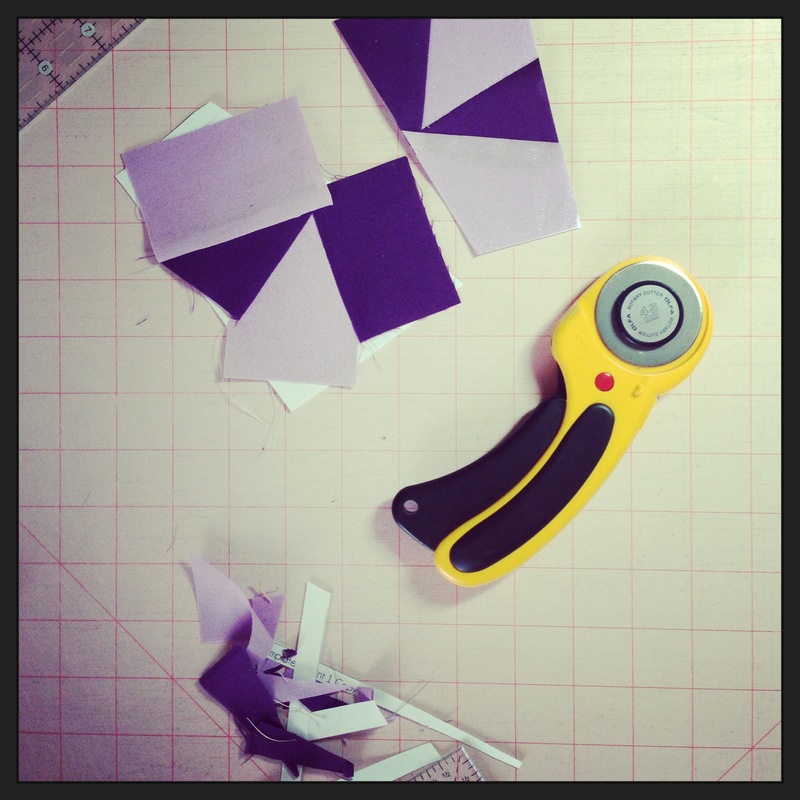 It’s almost worse to watch QuiltCon from afar- knowing what I’m missing makes me more sad! 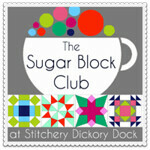 Your block is lovely, and I love the fabrics you chose. Is the light purple sparkly? It almost looks so in the last photo. I happened to be in Austin last weekend for a wedding, and I was so sad that they didn’t get married this weekend so that I could also make Quiltcon! The light purple IS sparkly, but it’s hard to photograph so that shows. I’m glad you could see it. A little of bit of sparkle always makes me happy! I can’t believe the wedding you went to was so close, and yet so far, from QuiltCon! What a bummer- but I hope you had a great time anyway! Nice block. 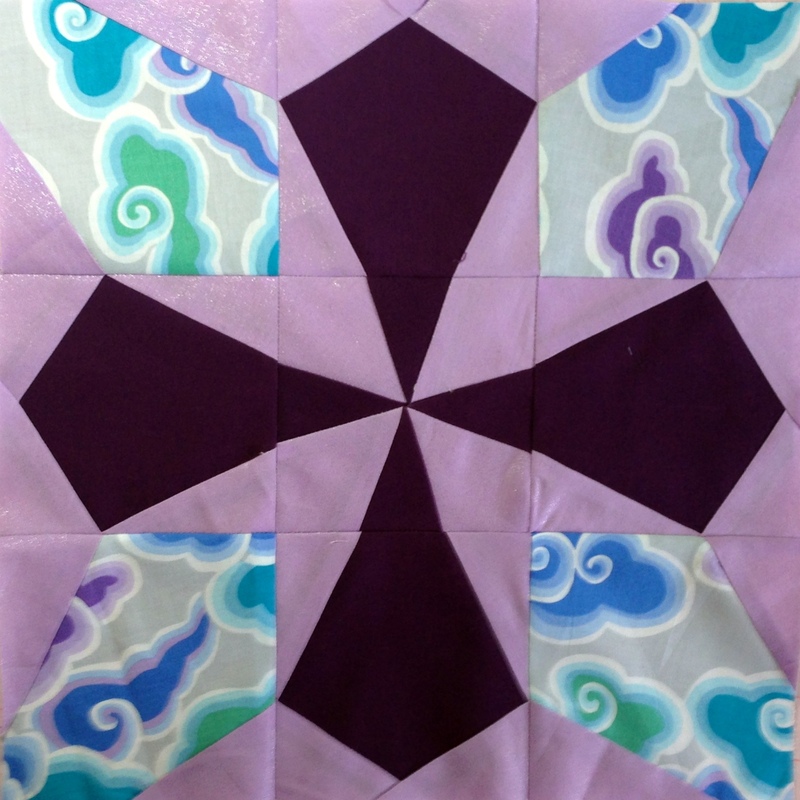 Great use of the Kaffe Fassett fabric. Yes! 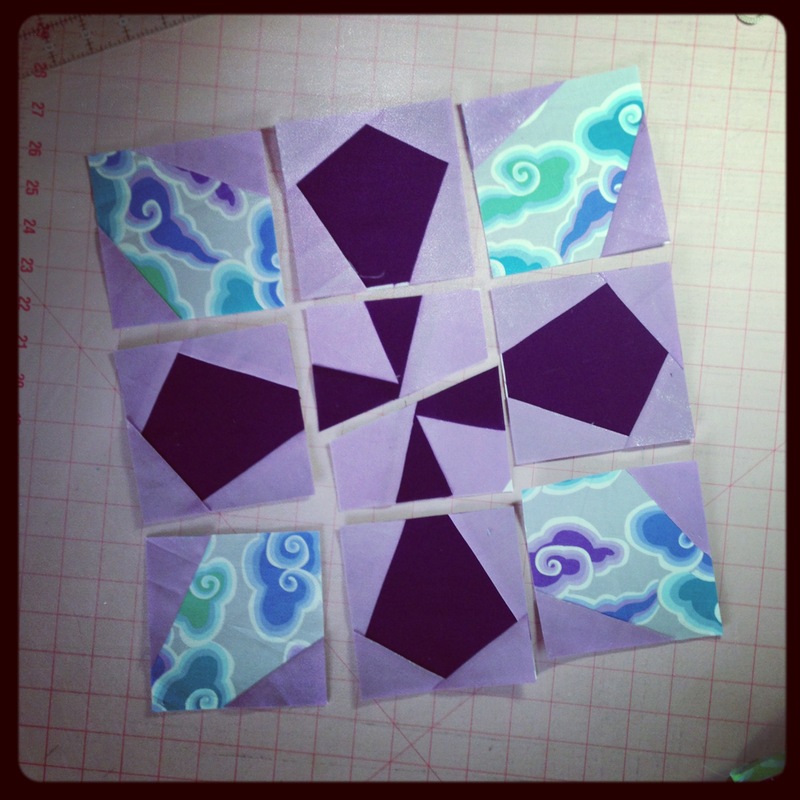 I wish I was at Quilt Con…. Oh Well. Maybe next time! 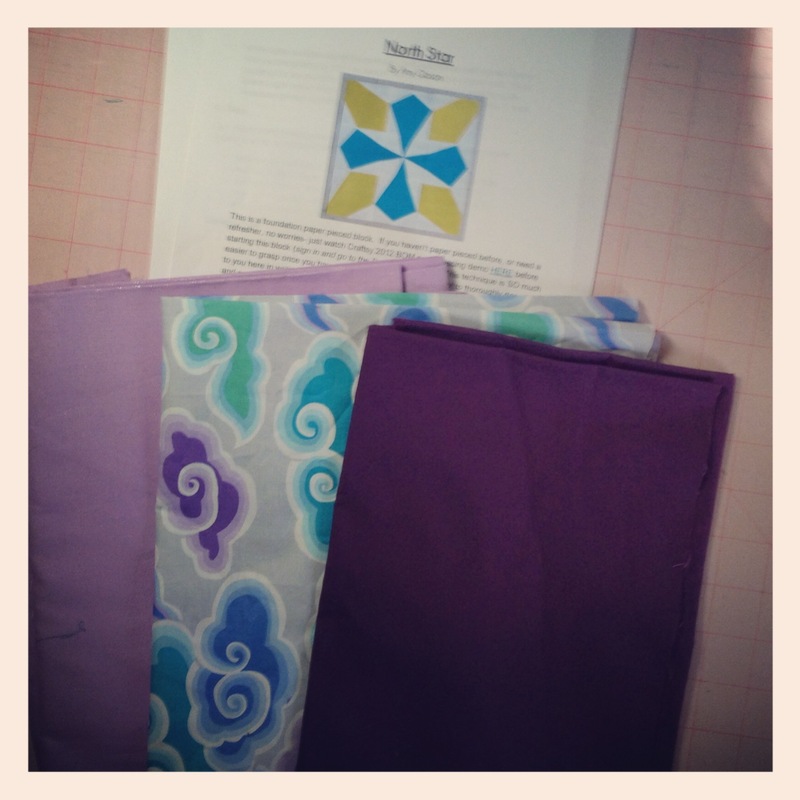 I’m already dreaming about the next QuiltCon- and I’m going to make it happen!